TCG has released a new architects guide focused on reducing fraud in the payment industry. 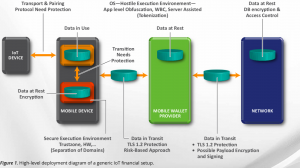 IoT devices are slowly emerging as new payment instruments. Smart watches, in particular, are currently used for NFC tap and pay payments. The majority of these devices rely on a paired mobile device such as a smart phone for some functionality, which may include provisioning and authentication. In the foreseeable future, it’s expected that these IoT payment instruments will no longer need a companion-assisting device. Backend fraud and risk engines currently rely on payment parameters to reach an authorize or reject decision on incoming transaction requests. To reduce fraud risk, the backend needs to collect some signals, authenticate the user, and identify the device as well as the point-of-sale. on the type of payment. Learn more in this new guide.